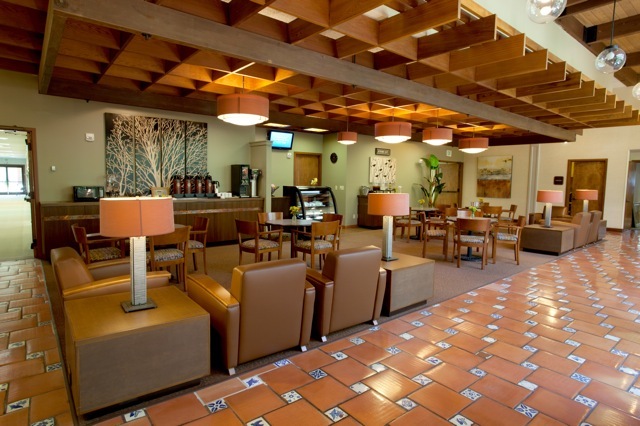 Located in a senior housing complex, this cafe was dated and dreary in this age of comfortable, connected spaces. The client’s objective was to modernize the existing space to appeal not just to the residents, but to their visitors and family. 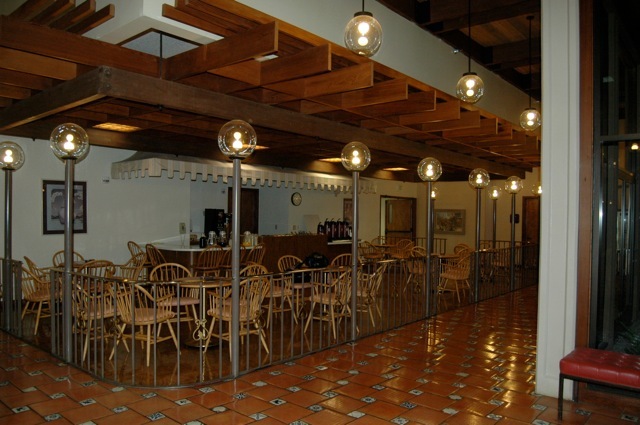 Beginning with a new floor plan, the space was laid out for better circulation and walker access. Self serve beverage and snack bars replaced an old fashioned bar/ice cream counter. Adjustable, energy efficient table and ceiling lighting, wifi and computer connectivity, and furnishings designed for senior comfort transform the space from a crowded one to an efficient, welcoming, and relaxing place. A fresh color palette acknowledges the surroundings, with carved art panels reflecting the trees in an adjacent atrium.